Too bad the brainchild for this comic didn’t know that US currency is made out of cotton and linen. 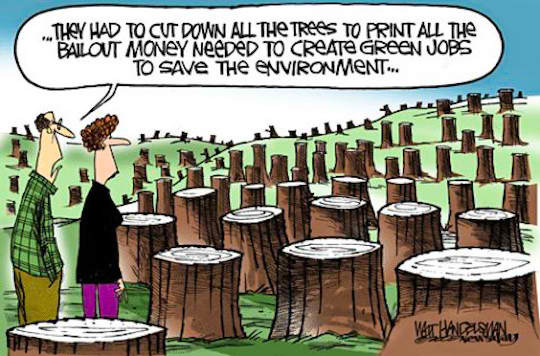 The short fibers and acidity of a wood pulp dollar wouldn’t last very long. So much for credibility. This entry was posted in Green Living, Humor and tagged acidity, brainchild, climate, environment, science, wood pulp. Bookmark the permalink.